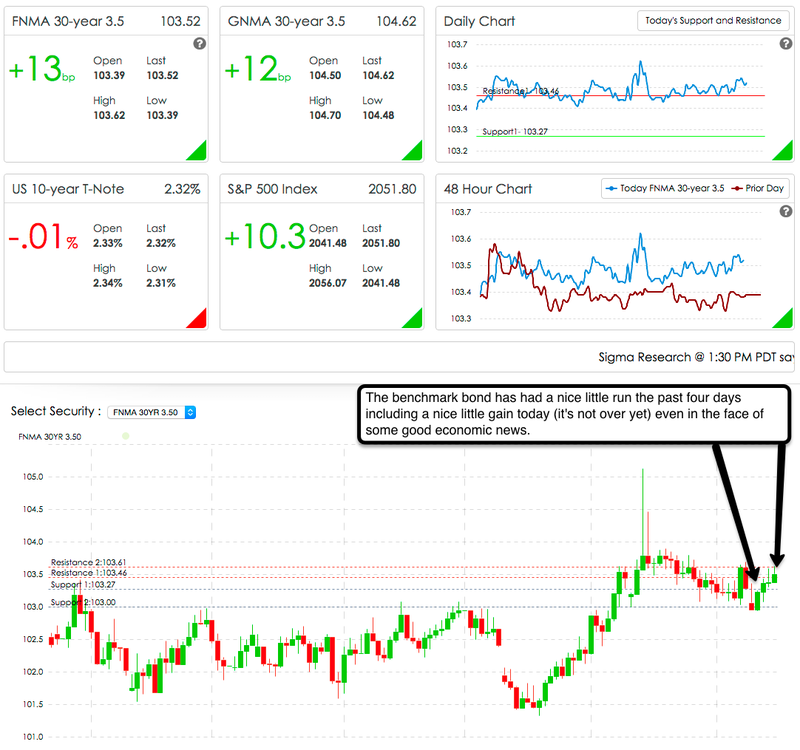 Their was good news on the economic front this morning yet the benchmark bond is up 13 basis points as of this writing in spite of it. PPI MOM was up .2 vs. expectations of -.1 and ex-food and energy it was up .4 vs. .1. Normally when important data far exceeds expectations, you would expect the benchmark bond to sell off driving rates higher but the bond market showed its resiliency this morning by shrugging off that data and inching higher. At 103.52 it's 6 basis points above the 1st level of resistance. Please feel free to comment, like and share and to contact me if I can help with anything mortgage related: 702-812-1214. I'm licensed in Nevada, Utah and California.